Kerala. 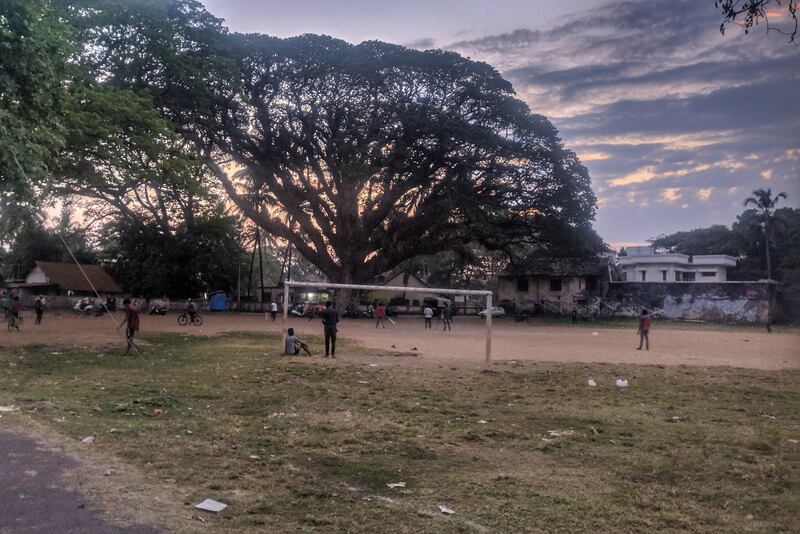 God’s Own Country. Actually that title belongs to the Wicklow Mountains in Ireland but we’ll forgive them for that one. Just this once. After all, there are 40 Venice of the Norths, 24 Paris of the Easts, 50 Eighth Wonders of the World and another six places in the world that God himself calls his own. Waterfalls, beaches, rainforests, national parks, mountains, picture-perfect tea plantations and a network of freshwater rivers, canals, lakes and lagoons collectively known as the “Kerala Backwaters” (and Venice of the East). I can see why God likes Kerala. Sadly we didn’t see the majority of what I just listed. For the final leg of the trip we decided to slow it right down in a country that doesn’t know the meaning of the word “slow” - and focus our adventures on two places: Kochi and Kovalam. We came to this decision while scanning over the itinerary we had created, which revealed a packed schedule - in transit every two or three days and spending over 50 hours sitting, standing or laying in a train. 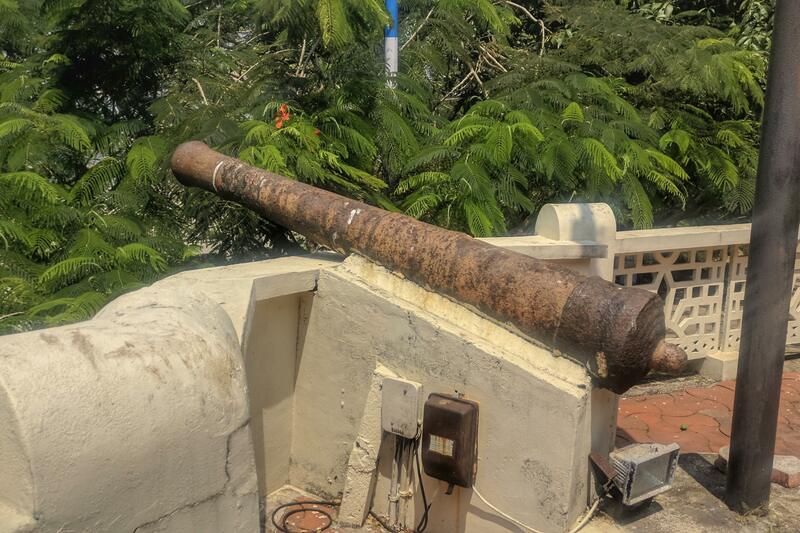 Kochi is an ancient port city in south-central Kerala, founded way back in the 14th century. It has a long history of trading with many countries from all over the Old World, including Portugal, Netherlands, China and Japan, which has over time created a distinct cosmopolitan culture unlike any other place in India. Being well known around the world from of its valuable spice trade industry was probably a big reason why the Portuguese chose it as their gateway to colonisation in India, with occupation beginning in 1503. To this day you can still see the effects of colonisation in the old town, with European influences on architecture, art and religion visible everywhere. 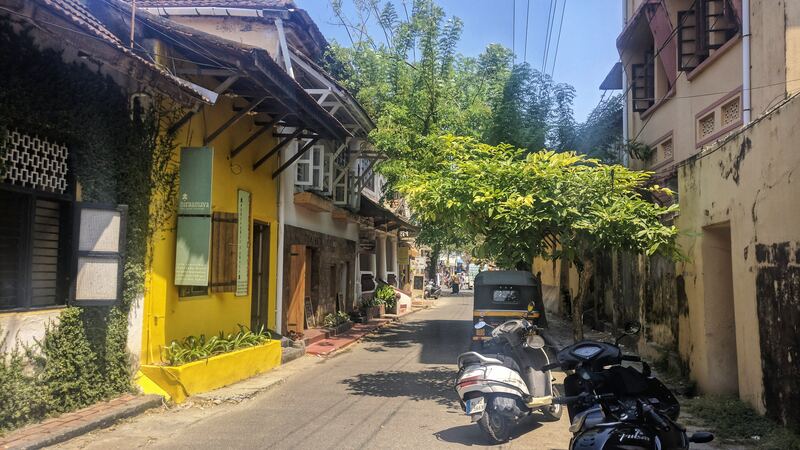 So you’ll probably want to stay in or near Fort Kochi (also referred to as the old town or Old Kochi). This is where most of the tourist attractions and some of the best restaurants are found. If you heed my advice you’ll find that most places can easily be reached on foot. If you’re not into walking, cycling is a great way to get around the old town as the roads are pretty calm and most journeys should take no longer than 15 minutes. There is a local bus network in Kochi that is apparently very good, but the tuk tuks are so cheap and convenient we just used them whenever we needed to go on a longer journey. 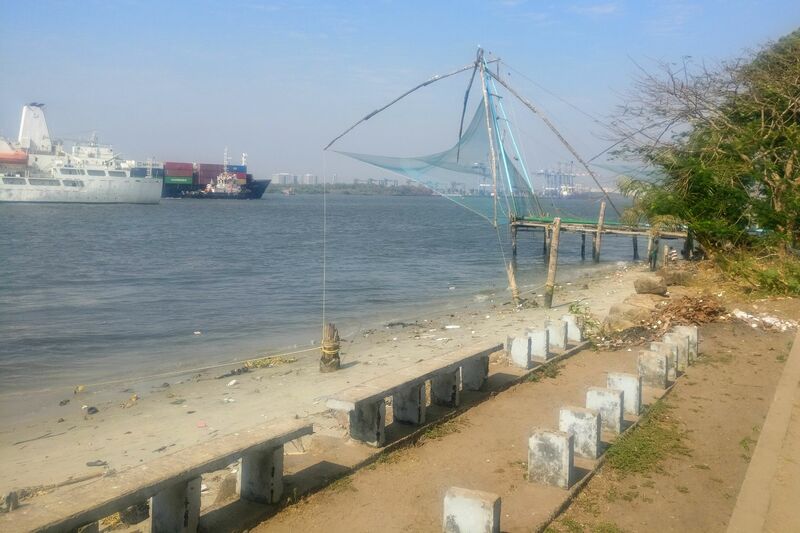 You could probably visit most of the top attractions Fort Kochi has in a day. It’s worth staying a bit longer as the town itself has a nice vibe and there’s a great restaurant scene. Here are the highlights. Entry: free. The day we arrived to Kochi our host told us about an elephant festival that would be happening nearby at 17:00. I don’t think this is an everyday occurrence, we just got lucky with the day we arrived. We were excited with what we saw as this was our first time seeing elephants this close up and outside of a zoo. 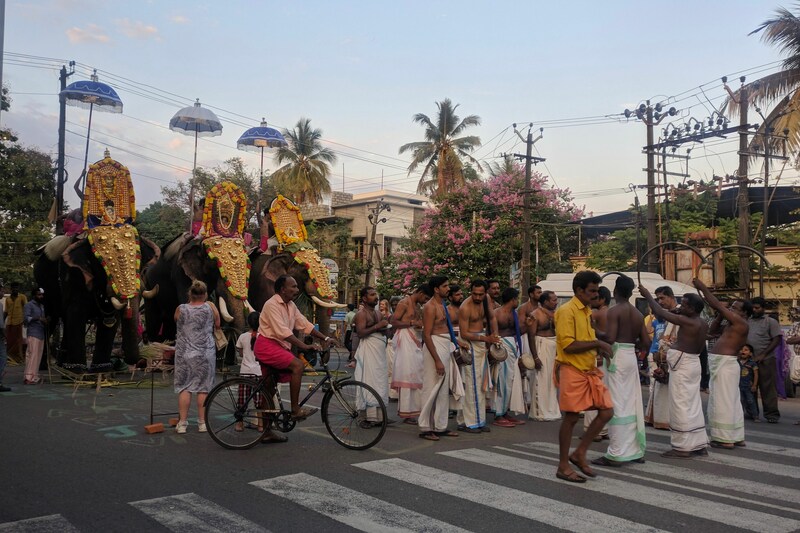 There was a short parade followed by traditional music and a ritual which ended with a blessing of the elephants. Sadly the legs of these gentle giants were chained together and all three of them had a couple of men sitting or standing on their backs. At this time we weren’t aware of how serious and horrible elephant cruelty is in India and many other countries. Looking back with this new information the whole event seemed a bit cruel and unfair. Who knows, maybe these ones were well cared for but evidence would suggest otherwise. Watch the video below and decide on the ethicality of such an event for yourself. Entry: free. 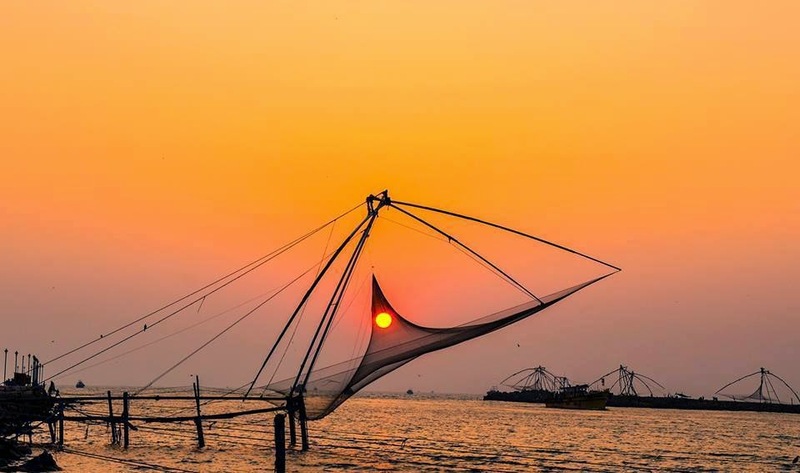 If you do a Google Image search for Kochi the most frequent image you will see as you scroll down is the iconic Chinese Fishing Nets at Fort Kochi Beach. Below is an example I grabbed from Google. Beautiful isn’t it? If you hope to see the Chinese Fishing Nets looking remotely like this come at sunset. We went in the early afternoon and they were the pretty ugly, with rubbish strewn everywhere around them and that typical smell you get near a fish market. I’ll show you my pic but look away if you still want to go as it might turn you off! Entry: free. 2.3% of the population identifies as Christian, making it the third most followed religion in India, behind Hinduism (80%) and Islam (14%). 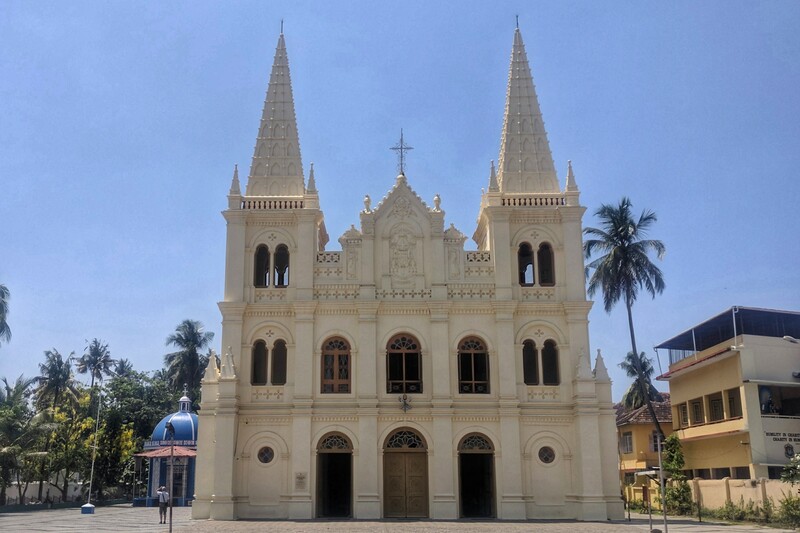 It’s believed that Christianity was first introduced to India by Thomas the Apostle in 52 AD, but it began to spread more effectively in the 16th century when the Portuguese came and colonised. Entry: Rs. 25. 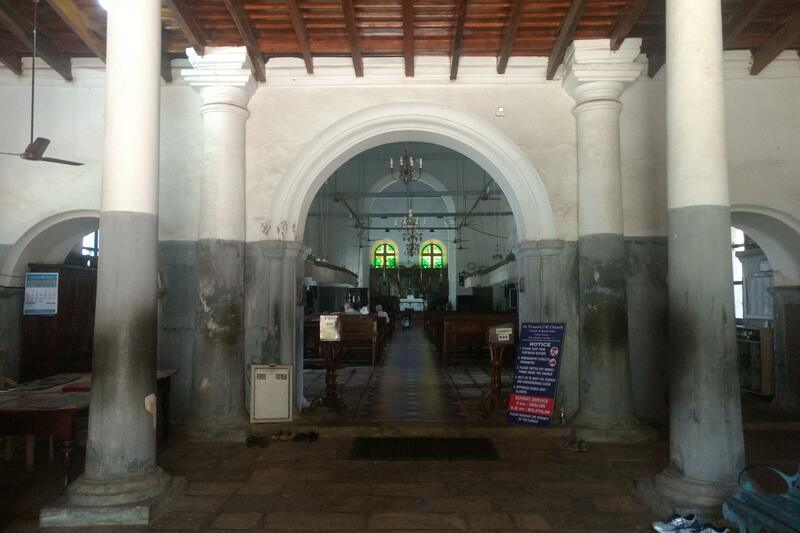 Established to showcase the Portuguese influence on Kochi and the surrounding areas, this is a small museum displaying mostly Christian relics and artefacts. We didn’t find it particularly interesting and didn’t stay long. It could be something to do if you have a lot of time to spare. Entry: free. To look at, it’s just an ordinary no frills old church, badly in need of some maintenance, but looks don’t write history. Built in 1503, this is the oldest European church in India. Over the years it has changed hands several times between the Portuguese, Dutch and British as they battled for control over the city. The explorer Vasco de Gama, who discovered the sea route from Europe to India in 1498, was buried here for 14 years before his remains were returned to Portugal. It’s historical and cultural significance was marked in 1923 when it was declared a protected monument. Entry: Rs. 200. 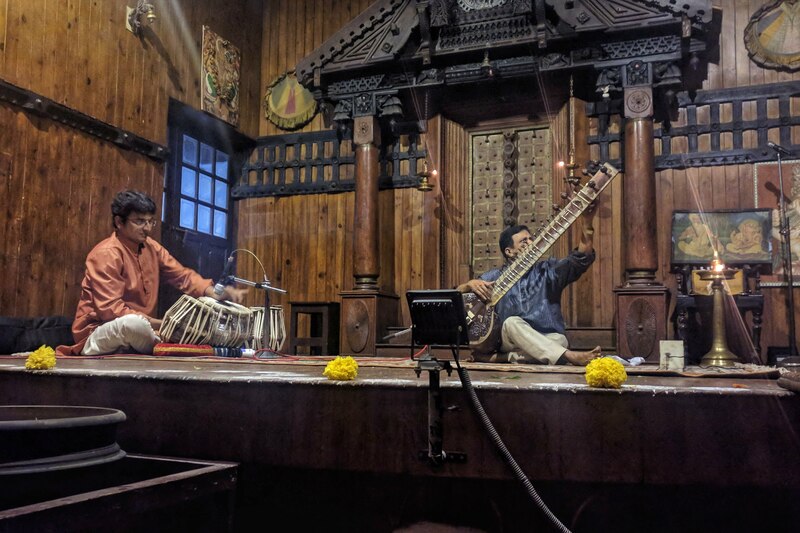 A flyer advertising a sitar and tabla performance in Kerala Kathakali Centre caught our eye as we wandered the quaint streets of Old Kochi so we decided to check it out. We had absolutely no idea what a sitar and tabla were or what to expect. We loved it. The performance began at 20:00 and consisted of two talented musicians - one on sitar and the other on tabla - playing an intimate one hour set of hypnotising instrumental music. I think the small audience was in a trance as the only noises in the entire hour came from those beautiful instruments. Kochi has some mouth-wateringly good restaurants 🤤. I’ll admit, we’re not fan the biggest fans of an Indian breakfast. 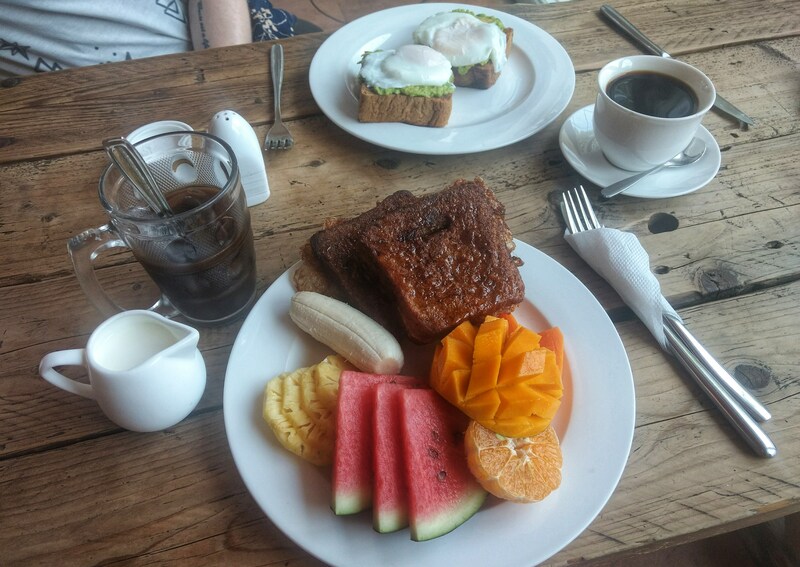 We always ended up getting some of our favourite Western breakfasts which can be easily found in tourist areas. It’s been five months and I still have dreams about the breakfast we had in Qissa. We came here for dinner one night and shared a harbour masala (fish cooked in spicy gravy) and it was so so good. No pics because it was eaten so fast. 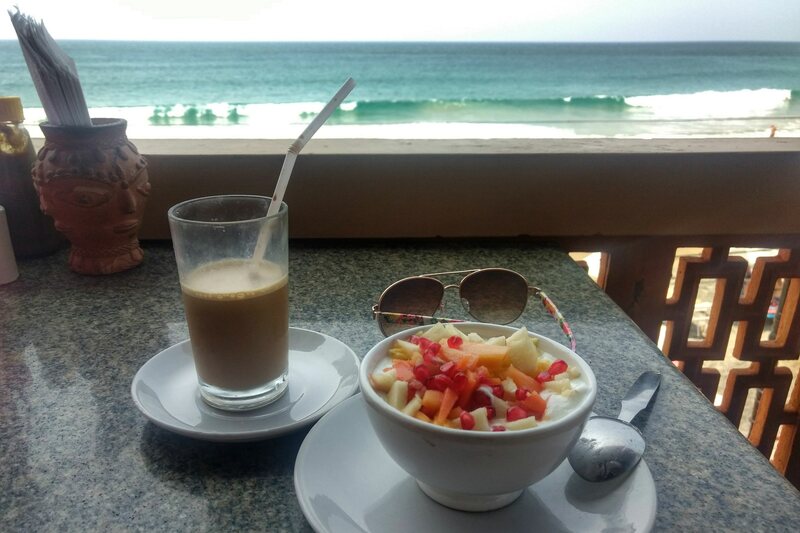 We didn’t plan to do too much in Kovalam. Besides, there’s not really anything to do apart from chill at the beach which is exactly what we wanted. I was still trying to go from pale to slightly less pale and five days in sunny Kovalam is a good place to do just that. It’s also a quick 20 minute drive to Trivandrum Airport, where we were due to fly to Sri Lanka from on March 6th. This tipped the balance in favour of Kovalam when we were deciding where to stay. 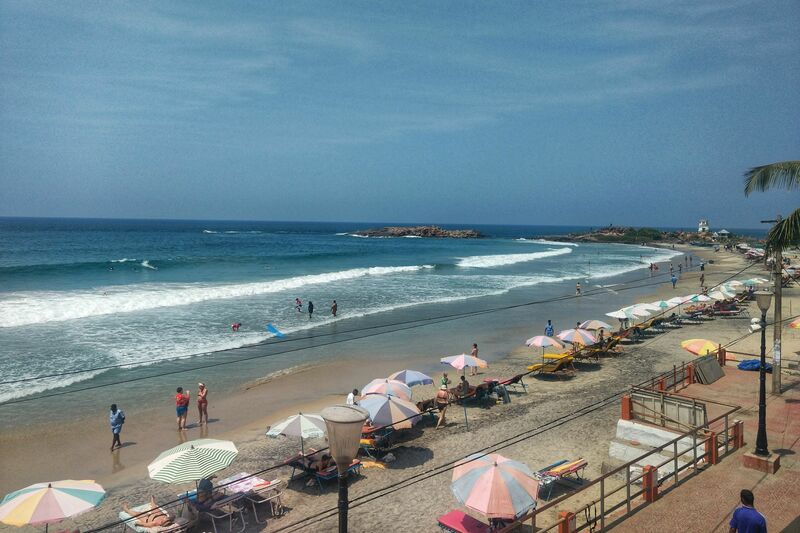 Kovalam is a small town of about 8,000. As the only things of interest to tourists are the beach and lighthouse you should be able to reach most places within a five minute walk. If you want to find some cheaper local restaurants or an ATM (there aren’t any on the tourist strip oddly enough) you will need to venture a couple of streets back up a steep hill, which could take you 15 minutes or more. Other than lounging on the beach, browsing the small gift shops and dining, there’s not a whole lot to do here, which is exactly what attracts people. It’s a popular holiday destination where foreign and domestic tourists as well as locals come and enjoy the beach, seafood and sunshine. Entry: free. Poular with locals, this is a really nice beach but it is always so busy, so if you’re looking for something a bit more peaceful you should head back to Goa. We had a great time here sunbathing on the beach and cooling off in the sea. Entry: free. 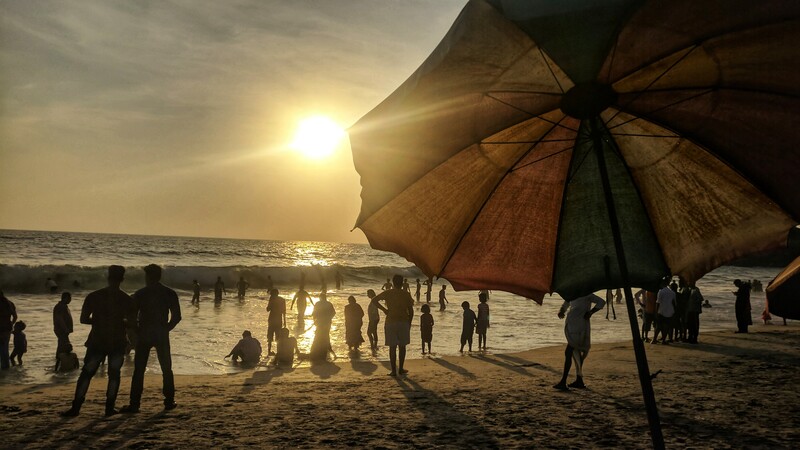 This beach sits adjacent to Kovalam Beach and is very popular with foreign tourists, separated only by a tiny strip of land and rocks. 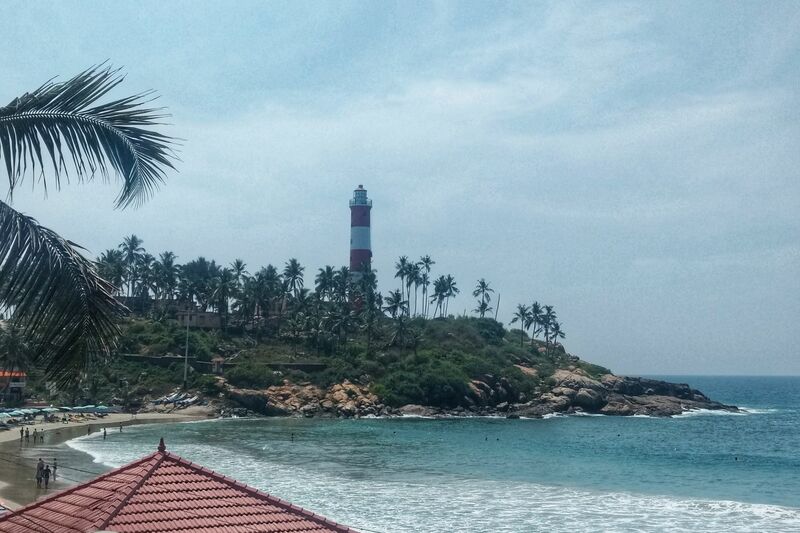 It gets its name from Vizhinjam lighthouse, which sits elevated on a hill at the south end looking down on the beach. Entry: Rs. 25. Towering above the coconut palm trees at a height of 36 metres, this picturesque and iconic landmark dominates the Kovalam skyline. If you ask a kid to draw a lighthouse it would probably look just like this. It’s open to visitors, but at the time we were here it was closed for renovations. अलविदा. गुडबाय. വിട … Goodbye India! What an experience. What a month. What a country. Our only regret is that we didn’t give it enough time. Kerala alone deserves at least a couple of weeks if you want to explore all it has to offer. This may be our final destination in India, but there’s still a few more posts to come. Next week (or the week after) I’ll show you a one minute highlights video that I made. See you then 😉.